Put potatoes in cold, sea salted water, bring to a boil for 15-20 minutes until a knife slips in easily. 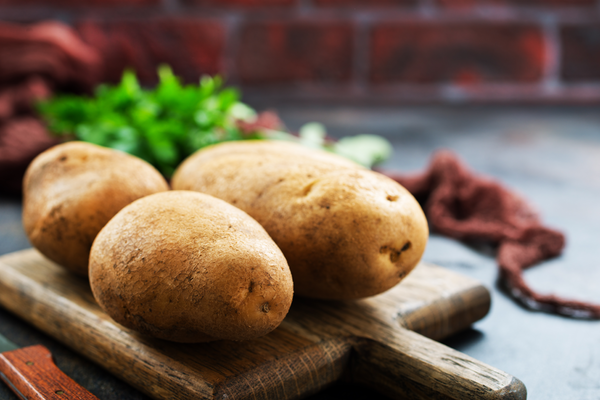 Drain and place potatoes on a cookie sheet to cool. When Potatoes are cool enough to handle, press gently between the heel of your hands. Smash them to about a 1/2 inch thickness, making sure they remain in one piece. The skin will split and potato should remain whole. Continue “smashing” all potatoes. Heat Roasted garlic olive oil, add smashed potatoes and lemon zest, cook until brown. Remove with slotted spoon and place on paper towel. Serve with Italian parsley.